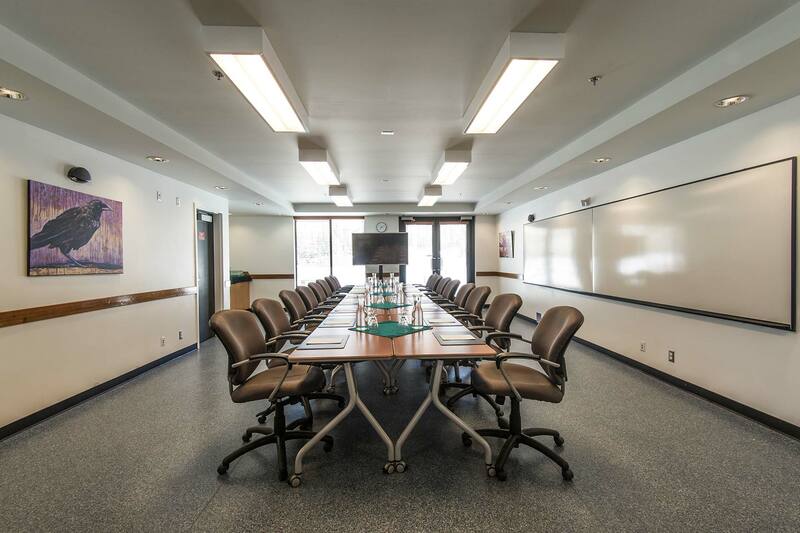 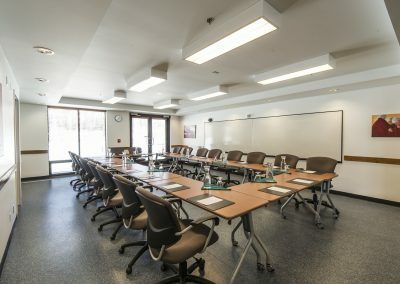 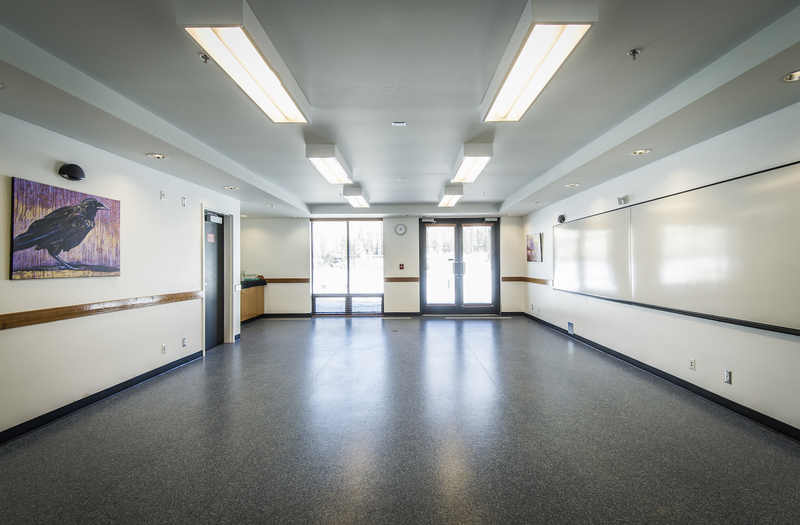 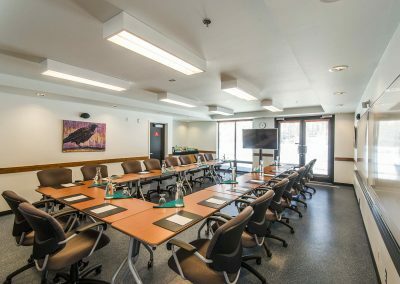 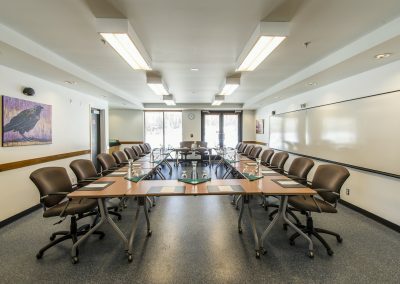 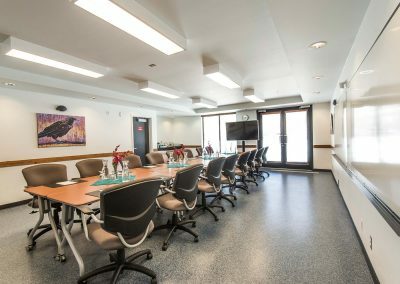 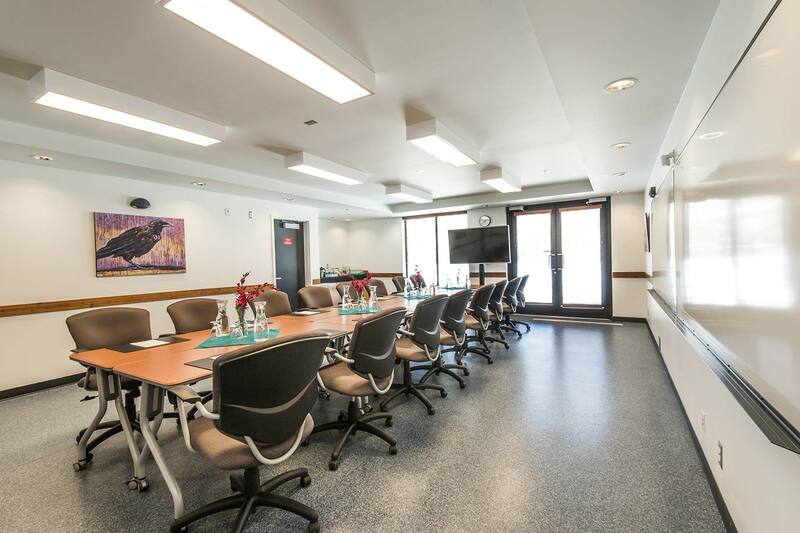 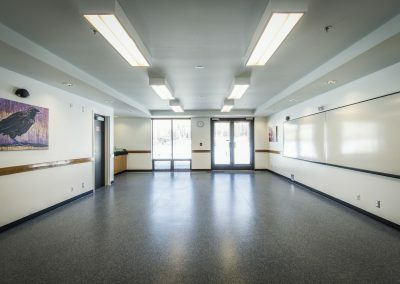 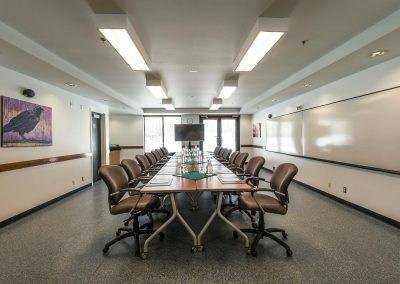 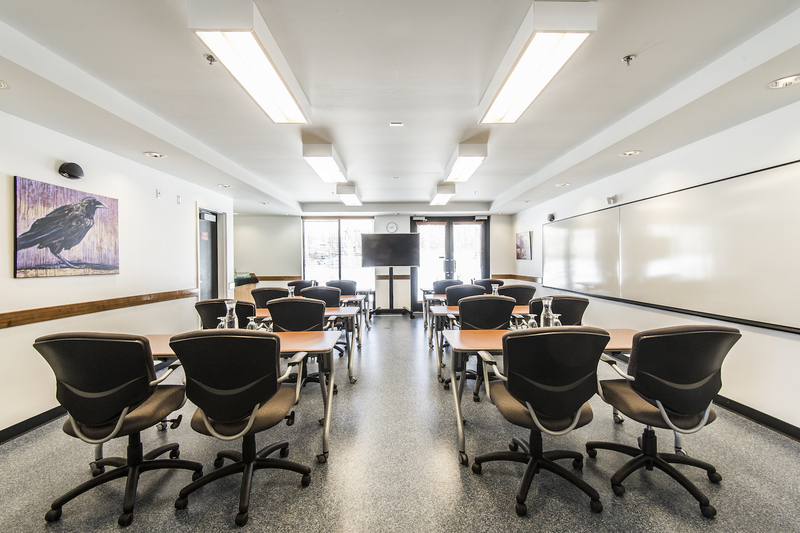 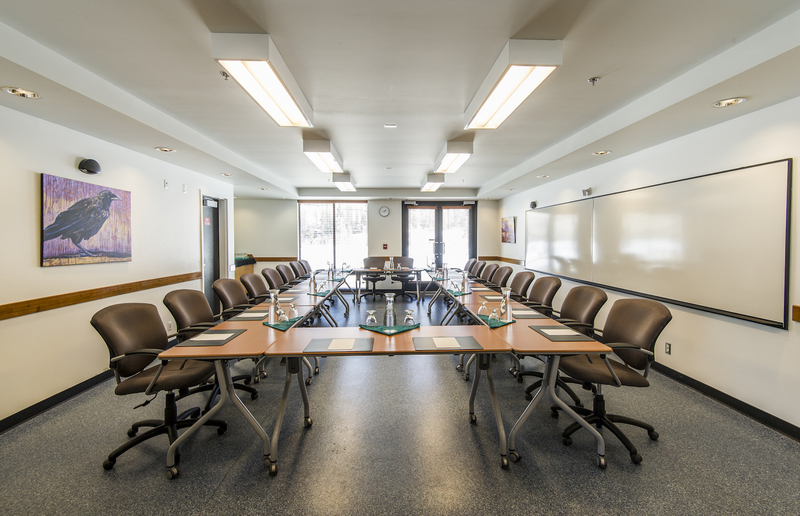 Shásh Zéitígí – Tagish: This room is named “grizzly bear throat,” referring to a pass along a foot trail connecting Tagish Lake and the present day town of Carcross. 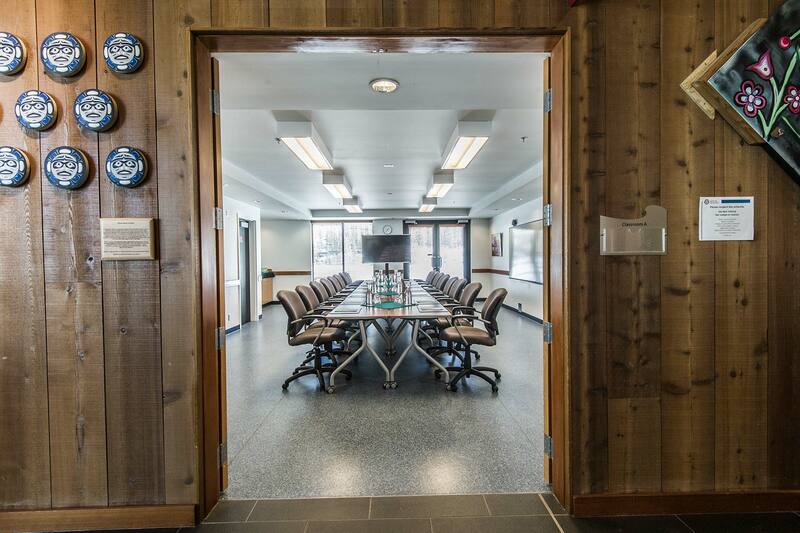 It was named “grizzly bear throat” due to the strong wind, which is almost always blowing in one direction. 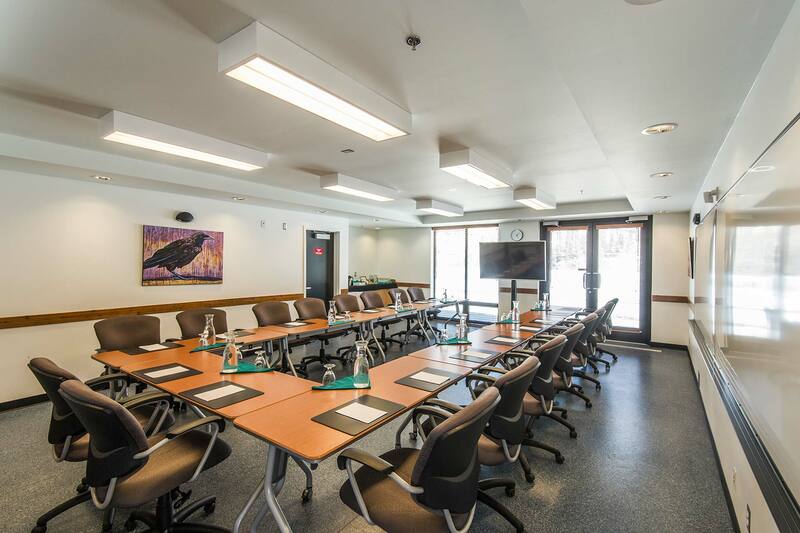 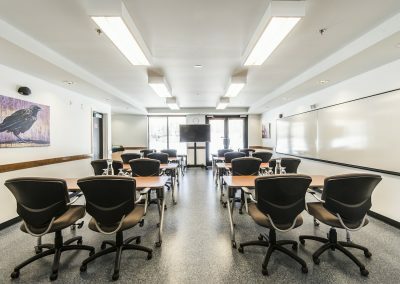 Shásh Zéitígí (Classroom A) can seat up to 20 at a boardroom setting, and features stylish and comfortable boardroom-style furniture, whiteboards, and optional LCD TVs. 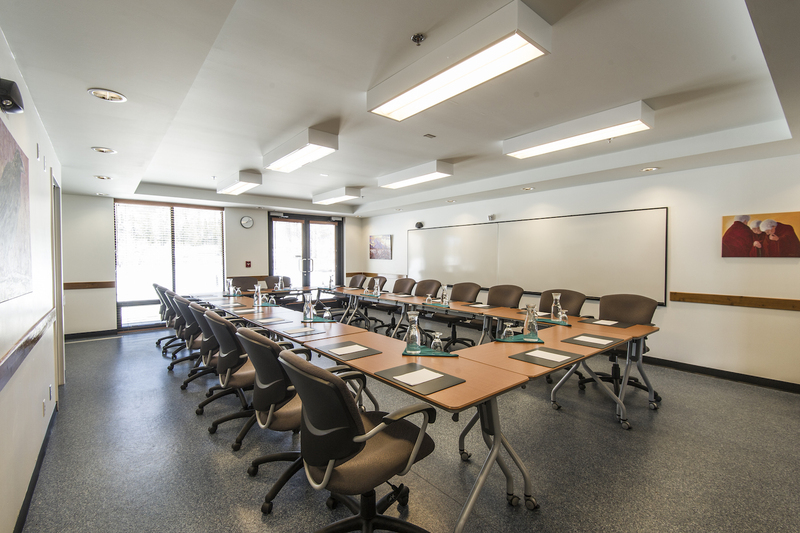 This is a perfect space for a meeting, workshop or staff retreat.